Leaders of VRA staff want the head of the Energy Minister for what they call financial recklessness. According to them, the 15 year extended Ameri deal will not yield a 405 million dollar saving to the country as is being claimed. They therefore want the minister to do the honourable thing and resign for deceiving the state. According to the national chairman of VRA senior staff, Cephas Duse, there is no cost saving of 405 million dollars under the proposed Novation and Amendment Agreement. The deal according to them does not provide value for money and justification provided for the deal is aimed at deceiving the good people of Ghana. To Cephas, citizens will end up paying more if industry players sit down, fold theirs arms as spectators instead of acting like citizens and allow this needless deal to be forced down the throats of Ghanaians. They therefore recommend that the current AMERI BOOT contract should be left to run its course, ending in two and half years. To them, the minister has acted irresponsibly and must resign. Frank Adatu, a retiree of VRA fuming recounted how they have successfully operated, maintained and managed the country’s Hydro power generation plant at Akosombo and Kpong and Akuse since April 1961 as well as the Thermal plants for well over 20 years without problems. He therefore cautioned those who are still hallucinating that VRA is not efficient in running thermal plants that they unequivocally state that VRA is efficient and has the mandate to diversify its power generation resources. As such it must be allowed to operate in line with the VRA Act. 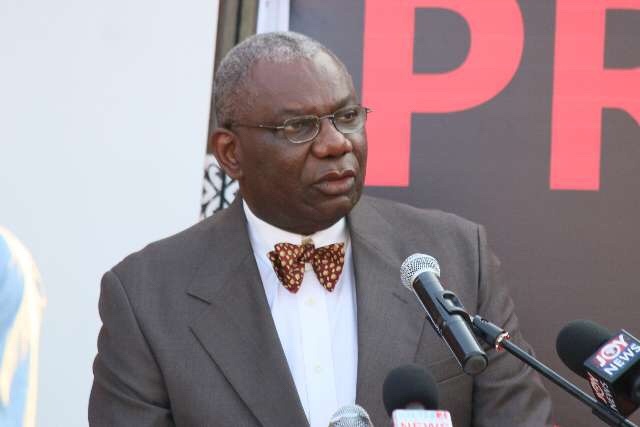 Angered by the current brouhaha of the Ameri deal, Eben Doku, also a retiree thinks the energy minister is only good at wearing bow ties and not adept at handling energy issues and as such must be relived of his post. They cautioned the president that Energy is key to development and economic growth, and should not be a political football.